When in Bohol and Cebu… KEEP CALM, CARRY ON, MAKE LEMONADE, and HAVE F.E.A.R! …but before I tell you all about THAT trip, have you watched the parody movie A Tale of Two Cities and Three Friends? It’s actually a local indie film released early this year, and its synopsis is quite relevant to this post. So if you still haven’t watched it, the synopsis is about three friends who went to two cities (DUH — what a stupid introductory sentence! Haha!). Of course it was a total bummer, but one missed flight wouldn’t stop them from pushing through with their trip. They immediately went to the ticketing office inside the airport, booked the next flight (even though that meant spending half of their pocket money! ), and attempted to get their luggage BUT they were told that those could just be redirected to their next flight. And they believed it. When they finally boarded the next flight, it turned out to be 2 hours delayed! Yes, TWO FREAKIN’ HOURS! Upon landing on their first destination… surprise, surprise! Their luggage was missing! Turns out that the airline failed to “redirect” their luggage to their destination, and the three friends were forced to spend one whole day without any of their clothes! Of course they decided to buy toiletries at the nearest store, and considered THAT action as their “first lemonade.” But c’mon, mamon! Take a bath, but wear the same clothes for more than 24 hours? Survivor Philippines ba ito?! That’s right. Those things happened to us!!! And when faced with those kinds of scenarios, we turned to “words” for help — our Words Of Wisdom. Having said that, let me enlighten you more with the aforementioned WOW. 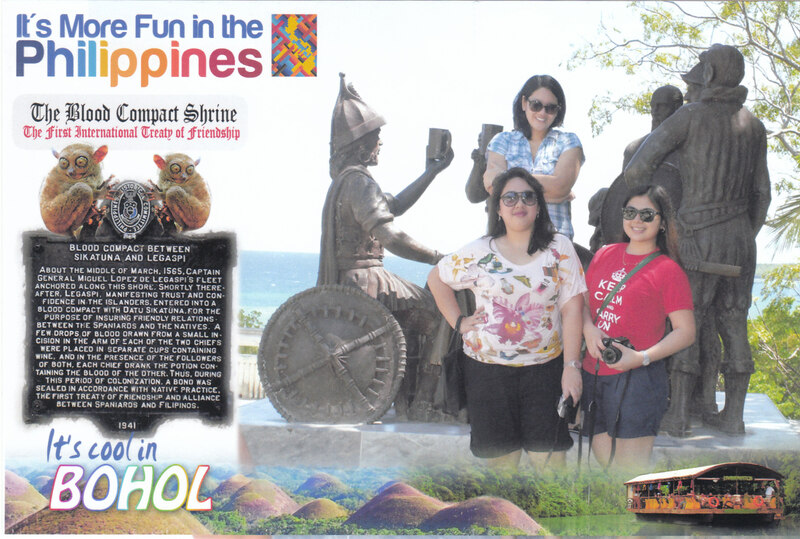 Since we were able to score round-trip tickets to Cebu-Manila and vice versa at very reasonable prices, our original travel plan was take a plane to Cebu, ride a ferryboat to Bohol and stay there for 3D/2N, and then go back to Cebu for an overnight stay. But when we found out that we were left by our plane (1/8 of the blame goes to the airport; the rest is on us! Haha! ), there was nothing left to do but to KEEP CALM. And how did we do that? 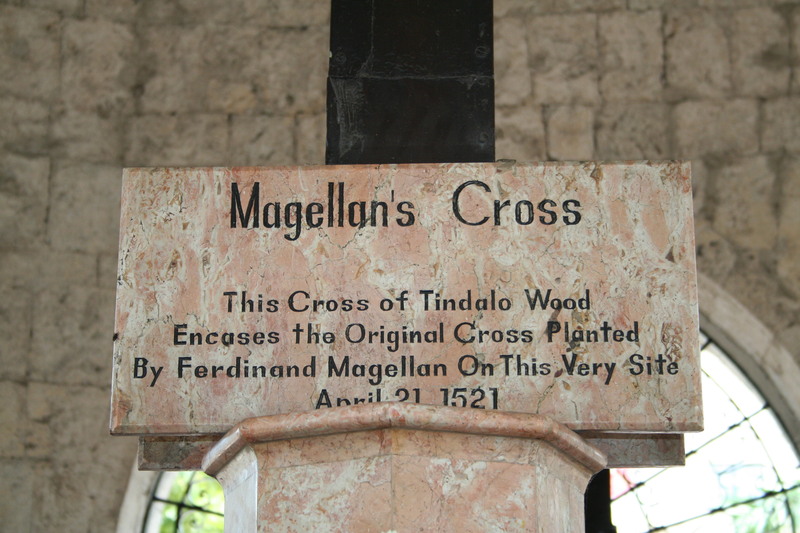 We decided to just buy the next direct flight to Tagbilaran, Bohol. Of course that time, there was no promo. So we had no choice but pay the original price — which kind of defeated the purpose of buying our “promo” fares because when we added the total price of ALL our tickets, it seemed like we paid the original price from the very beginning. Right. And then when we were already on our plane bound for Bohol, our flight was delayed for TWO HOURS! I repeat, TWO HOURS!!! Okay, CARRY ON. …turns out, hindi pala joke yun! Grrr! Nasa Cebu nga ang mga luggage namin! This time, hindi na namin aakuin ang pagkakamali! Ibang usapan na ‘pag sinabi sa inyong “ililipat” ang sequence number whatever, tapos hindi naman pala magagawa! Kumulo talaga ang mga dugo namin! Lalo na siguro ako at nasabi ng mga kaibigan ko na hindi na daw talaga mapinta ang mukha ko! And to make things more lemon-y, our Tagbilaran flight was the last flight for the day! P***** ***** **n! Oops, sorr-eh. PEACE. …tadah! Instant SWEET LEMONADE, made from 100% BITTER AND SOUR LEMONS! Wahahahaha! Extra squeeze: When traveling, ALWAYS include your first articles of clothing in your carry-on bags! No exception!!! —Credit goes to my friend Carol. Heehee. Plus, their ice cream was to die for! My favorite flavors are malunggay and tsokolate (made from cocoa tablets!) YUM!!! 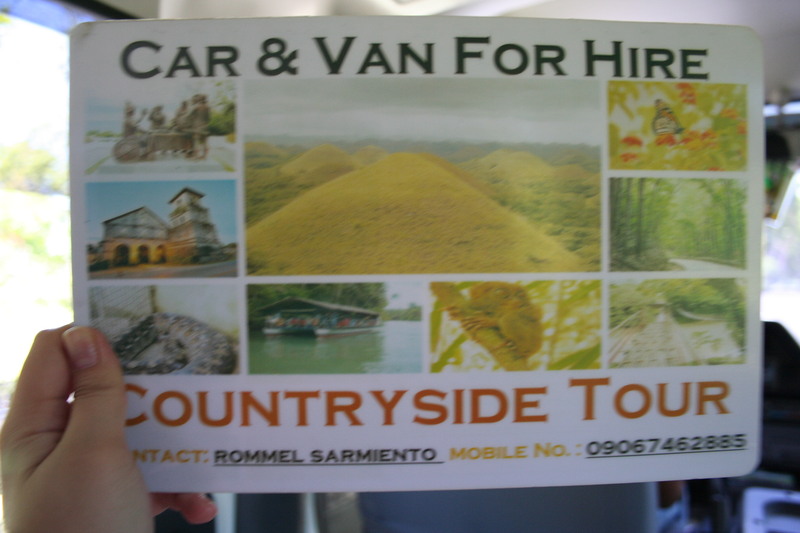 If you happen to be in Bohol, I recommend that you give Kuya Rommel a call at 0906-7462885. We actually watched the movie Battleship there and then in the evening, we went to Marriott Hotel Cebu to have our buffet dinner! Thanks, Max! SIMPLY DELISH!!! just look at that LECHON! crruuunch. buffet dinner = lamon forevah! harharhar. Now the next thing to RECOVER from is figure out a way to be NOT broke! Haha! I swear, my friends and I were so surprised to realize that we spent A LOT on this trip… halos triple nung nagastos ko sa Brunei, which was my latest international trip. Must have something to do with using the same currency and not thinking about conversion, etc? Oh well, perang papel. Honestly, that would’ve been plain BORING! And who needs boredom when you can have fun, right? Now, now. I wouldn’t trade “having MORE fun” for anything! Would you? Wow, looks like you guys had tons of fun. I can’t wait for my Bohol trip this coming September. I know, I know it’s still far away but that’s the thing with booking promo flights. Thanks for sharing your memories, Bohol Bee farm is also in my list! Mika, I love your entry. Very well said. 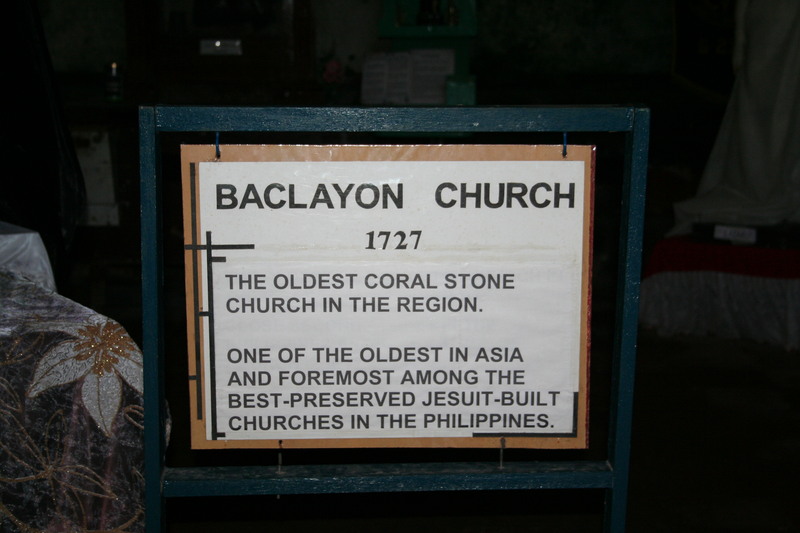 Pingback: Lookback: Mom Comes to Visit « Cebu Live!